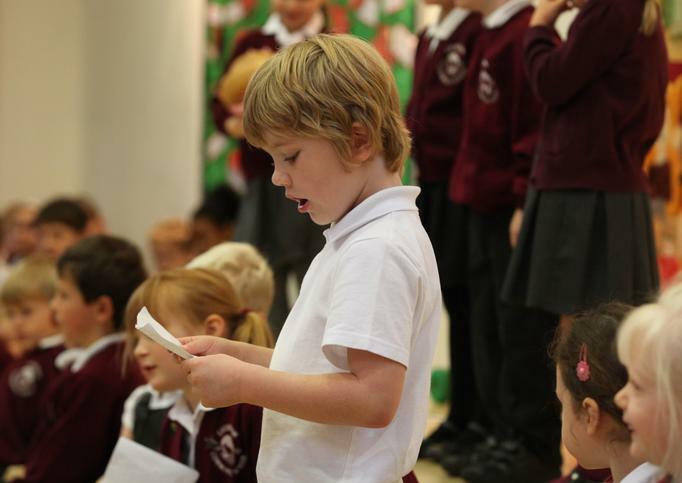 Pupils in the Early Years Foundation Stage are given many opportunities to write for a purpose in their play, whether it be a 'menu' for their role-play café, or a letter to an alien who wants to know about school. 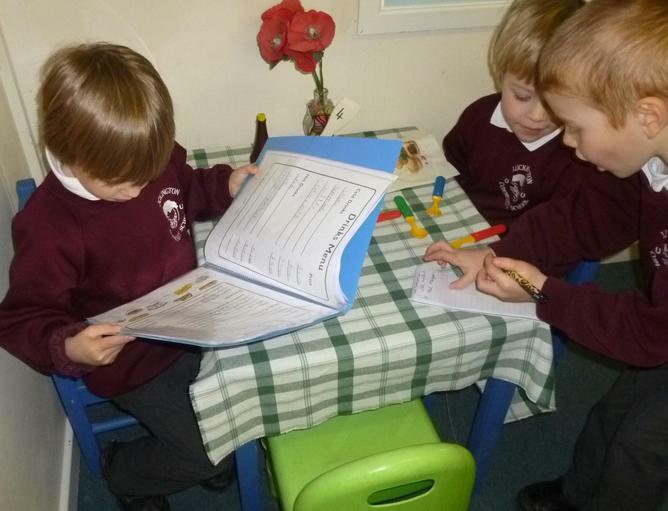 Writing is valued throughout the school - in Class 1, the 'Special Writing Box' is very popular. The children work together to produce class books about the learning themes and often choose the books that they have made together to read at choosing times. From EYFS pupils are introduced to the word-processing programme, Clicker and use this enthusiastically to write their own fiction and non-fiction texts. The programme is used throughout the school and is a particularly useful for pupils who have dyslexic tendencies as it incorporates a predictive function. As pupils progress through school, the exciting learning themes provide lots of creative and inspirational stimuli for writing in a range of genres. 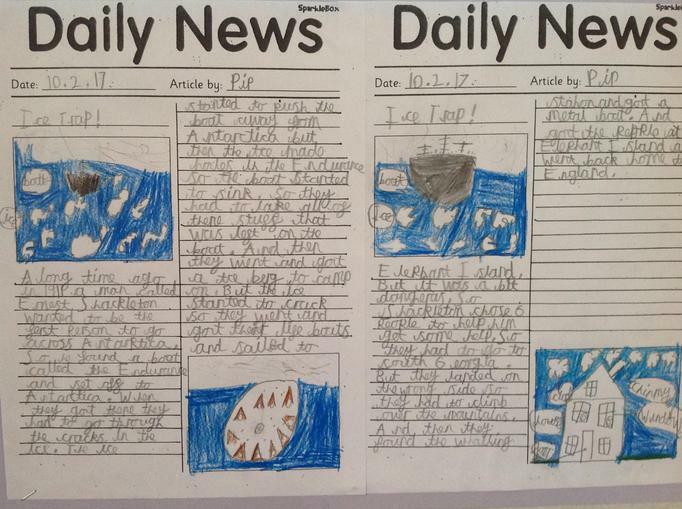 Pupils learn to write from different perspectives, for example after an exciting underground tour at The Big Pit mining museum, they write a diary entry from the perspective of a Victorian child working in a coalmine. Our pupils build an understanding of grammar, spelling and punctuation in many ways: through speaking and listening activities; through adults modelling correct grammar; through regular individual and group reading, as well as through their daily lessons. We follow the National Curriculum and each pupil will have targets from this, encouraging them to take the next step. Daily phonics lessons using fun interactive online programmes, along with regular practice of the most common 'tricky ' words (the ones that cannot be spelt phonetically, e.g. could , was), help our pupils to become confident in spelling. We use motivating online programmes to make spelling practice fun and pupils' progress is rewarded with spelling certificates. Each pupil has individual target words to work on. We recognise that spelling is easier for some than others. Extra support is given to those who are finding spelling particularly difficult through use of computer programmes, games and Apps. For these pupils, who may have dyslexic tendencies, we may also use 'Toe by Toe', which gives them daily practice and over-learning. At Luckington we teach cursive writing right from the start in EYFS. This does not mean that pupils are expected to join their letters immediately, but it does mean that pupils can learn to start ALL letters in the same place and write them with a 'lead in' and a 'lead out'. It does not take long for them to master the letter formation and we find that almost all pupils are joining their writing neatly by the end of Year 1. Cursive writing helps with spelling too, as it helps children to see letter strings and 'muscle memory' helps to reinforce learning.